Meet the fixer, the altruist, and the eternal optimist. ​“Antonucci! I took your mom fishing! Here. 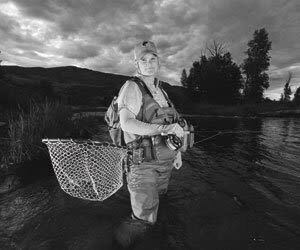 Her picture is on my website.” And sure enough, there’s my 70-plus-year-old mother proudly holding a 12" German brown trout. And the girl holding the phone: Jen Mihal, all Texas twang, sun-kissed blond hair, sparkling blue eyes, and a proud smile. Her blond ponytail makes an upside-down windshield-wiper motion as she walks away toward the dining room. And then on August 17, 2011, she found out what a meningioma is. Though nonmalignant, Mihal’s brain tumor was encasing one of her optic nerves, a factor her doctors didn’t figure out for eight months. During that time, Mihal had two spinal taps and five MRIs. Surgeons were able to remove most of the tumor, but to this day, she still suffers from chronic migraines and double vision. But watching her take care of that bachelor party of 27—laughing it up while making sure every glass stays full and every plate is delivered hot—you’d never know it. Gross was born and raised in the Kansas City, Kansas, area and met her husband at a shopping center convention. They lived in Arizona and Florida before alighting in Park City 11 years ago. Along the way, she ran the South Florida Women’s Business Conference, served on the board of the Tucson Association for Child Care, and is currently on the National Board of the United Jewish Federation of North America. So why did this midwestern belle choose Utah? “I wanted to live in a smaller town where my [four] kids had to be accountable for their actions,” she says. 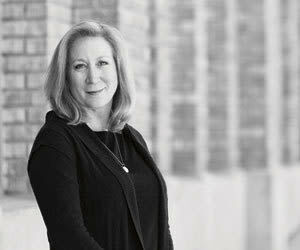 “I pretty much appointed myself to chair the Women’s Giving Fund because I was a board member of Park City Foundation and knew that it couldn’t be accomplished in one year without a chairperson,” Gross adds. “The best thing about the project was the relationships I made with women in the community along the way. We now have more than 1,200 members. It’s incredible how many young women, who never dreamt they could donate that much, participated and were able to give $84 a month. “Society is tough on girls right now,” Gross continues. “Through the foundation’s mentoring program, outstanding women in different fields speak to middle school–age girls about their experiences and how important it is to believe in themselves. It’s good to hear it from these mentors and not just their own mothers. 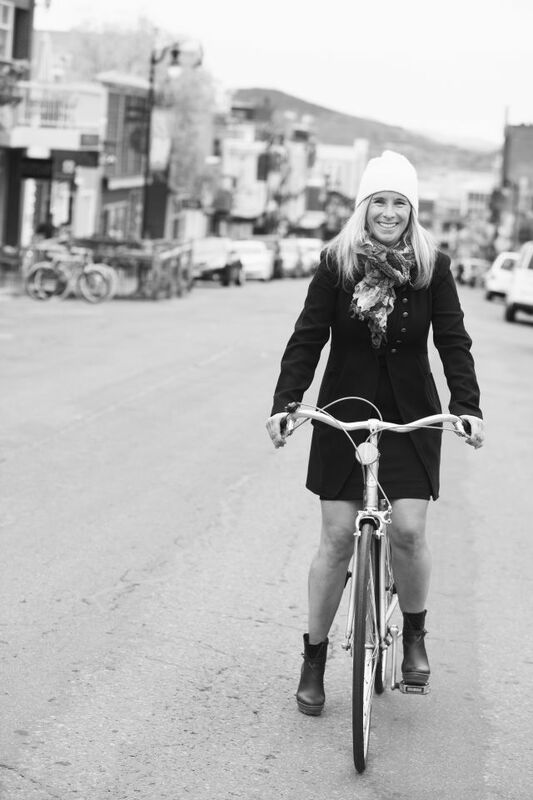 The pretty blonde rides a vintage bicycle, wearing both a perma-grin and high heels, even in winter. The Midwest native landed in Park City in 1987 after a college skiing scholarship brought her west. She worked at (now closed) Mileti’s as a prep cook and waited tables “at a tiny place called Curly’s Café [also no longer in business]. Curly was, of course, bald.” She was a ski host at Park City Ski Area and then assistant to the vice president. Then Murwin’s life went international. She went to work for the US Postal Pro Cycling Team in 1996, recruiting riders to build a strong enough group to compete in the Tour de France in 1997. “Behind every great athlete is a great support team,” she says. During her time with the team (spanning 10 Tour de France events), Murwin started a VIP sponsorship program, worked as a media liaison, helped collect prize money, and generally took care of the riders. “They called me ‘Mom,’” she says. Once she returned stateside, Murwin co-ran a bicycle touring company for 11 years. Now she’s owner and operator of her own travel company, Chasing Atlas, named after her 14-year-old daughter. “She needs to know that no matter how busy I am, she’s the center of my life,” she says, although she still manages to design 25 customized trips a year. “I keep it hands-on. I’m known for cycling, but I always try to talk people into other experiences, too.” Like cooking with Carlos Gaytan, a finalist on Top Chef and chef at a Michelin-starred Chicago eatery, or shopping in Paris complete with lunch at her Vogue executive friend’s flat.